Product info, videos and much more! The American Kestrel is North America's smallest falcon. In many older field guides you might see it referred to as "sparrow hawk", indicating the propensity to seek out small songbirds as prey. The Kestrel is one of the most colorful birds of prey, with a slate blue head, black mustache and warm, reddish brown back. The male amps up this feast of color with slate blue wings, also. The Kestrel is roughly the size and shape of a Mourning Dove, but with a larger head, longer tail and distinctive falcon-shaped wings. Kestrels most often hunt from the ground, although they can also catch food in flight. Their diet is heavy on invertebrates and insects such as dragonflies, grasshoppers, beetles; but they also are fierce hunters with prey including song birds nearly their size, lizards, small snakes, mice and voles. Because of their small size, they can end up being prey for larger raptors like Red-tail Hawks, Barn Owls, Cooper's Hawk or even American Crows. The Kestrel prefers open areas for its habitat, including deserts, grasslands, alpine meadows, and more urbanized parks. 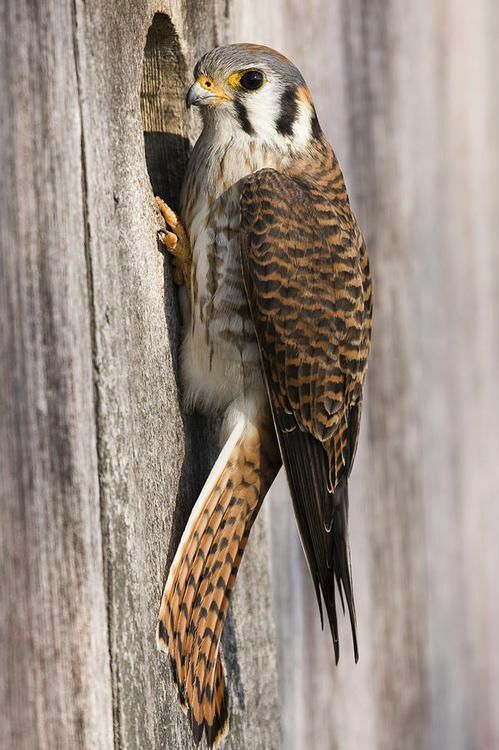 Kestrels are cavity nesters, but cannot excavate their own. They depend on old woodpecker holes, crevices in rocks, natural tree hollows, or nooks in human-built structures. They will use nest boxes with the correct dimensions and hole size. Kestrel populations have seriously declined over the last several years. Part of this is due to pesticides that destroy the insects on which they depend, exposure to pesticides that affects eggs, and loss of suitable nesting sites. Anyone who lives in the proper habitat might have success in putting up a nest box to attract them. In your travels in Northern Nevada, keep an eye on fences, small trees etc. for this wonderful little bird as he sits and waits for his dinner to fly or run past him. The Father-of-the-Year Award goes to the Downy Woodpecker. Though they share daytime nest duties with their mate, only the fathers incubate and brood at night and they roost in the nest until their offspring fledge. 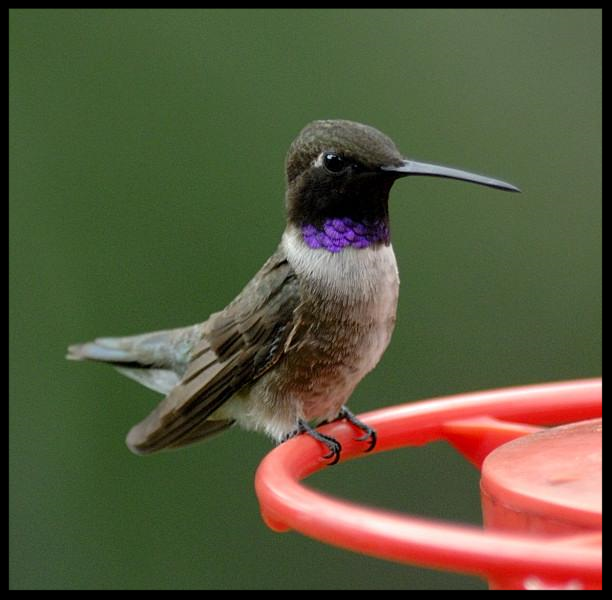 Feeders include a High View perch that invites hummingbirds to rest comfortably as they drink from any of four feeding ports while also offering an unobstructed view of the birds. Bright red cover attracts hummingbirds from a distance and is easily removed so the bowl can be cleaned quickly and thoroughly. Constructed of unbreakable polycarbonate. * Luna moths can be seen at night. * Garter snakes are seen in yards. * Viceroy, Fritillary and Tiger Swallowtail Butterfly mating seasons. * Keep nectar feeders fresh and change sugar solutions every three days as the temperature rises. * Many summer birds are not frequent feeder visitors but will seek out fresh water to beat the summer heat. * In new open space, watch for various flycatchers to search for flying insects and water to wash them down. 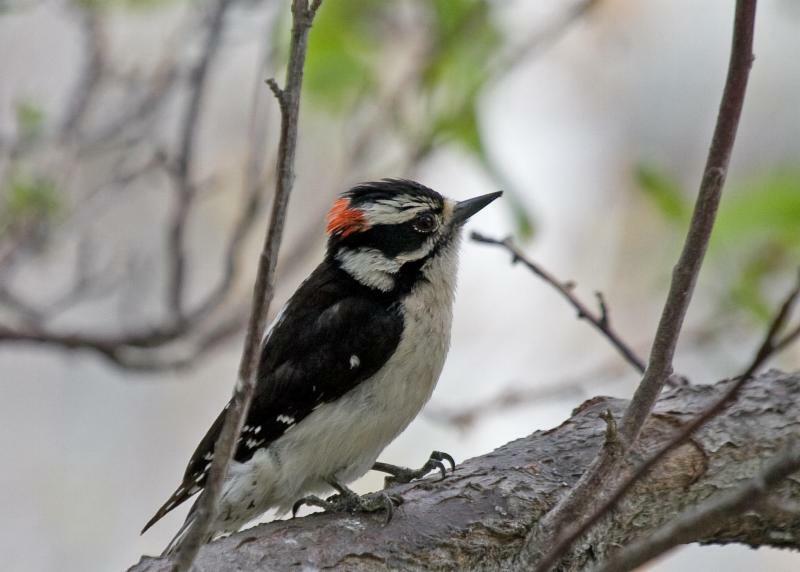 * Some cavity-dwelling species may attempt to start a second brood, so check your nest boxes to clean out sterile eggs, spiders, wasps or other debris and consider adding fresh cedar shavings. * As the month progresses, feeders can become busy with visiting parents and fledglings. Look for titmice, woodpecker and chickadee young being fed. * House Wrens are nesting. * Canada Geese begin molting. * Crickets begin their nightly serenade. * Raccoon young are born. 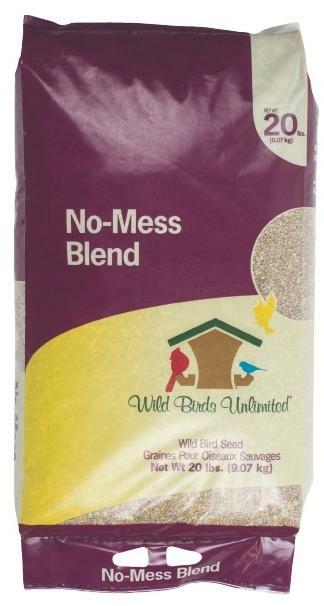 * Keep your feeders and bird baths clean and your seed fresh. * Titmice and chickadees will start a second nesting.